Home / Shoes / How Do I Clean My Suede Shoes? We guide you through the steps of cleaning and protecting your suede footwear. Suede breathes and needs air so maybe do not store them in tight plastic boxes. When you buy them: spray them with protector suitable for suede. This is a real benefit (especially in the rain) and will maintain longevity. When you are not wearing them, try not to keep them in places where there is a lot of sunlight. Suede fades so a darker, cooler place is preferable. Grab some unfinished cedar shoe trees and keep your suede shoes in those. This maintains shape and helps with odours. Mind you paper does fine too, in fact, the paper that comes with shoes is often a perfect shape and fit so save some bucks and recycle those! Don’t shy away from buying suede as the look is really decadent and makes a difference to what you wear. 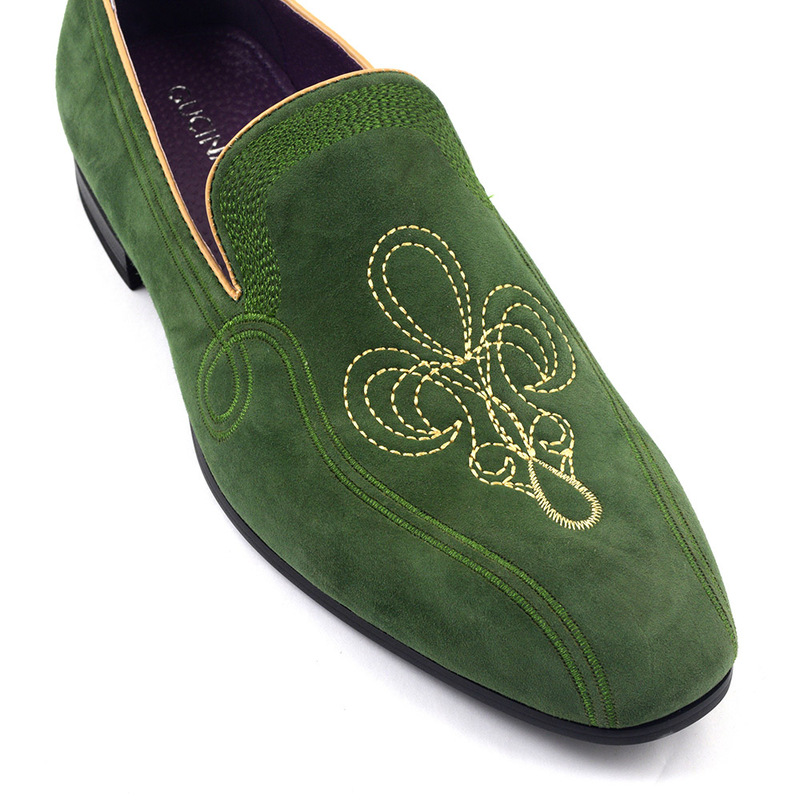 The olive suede loafer above is a really cool slipper style that will have a regal impact whilst being relaxed. you can’t say that about many shoes can you! 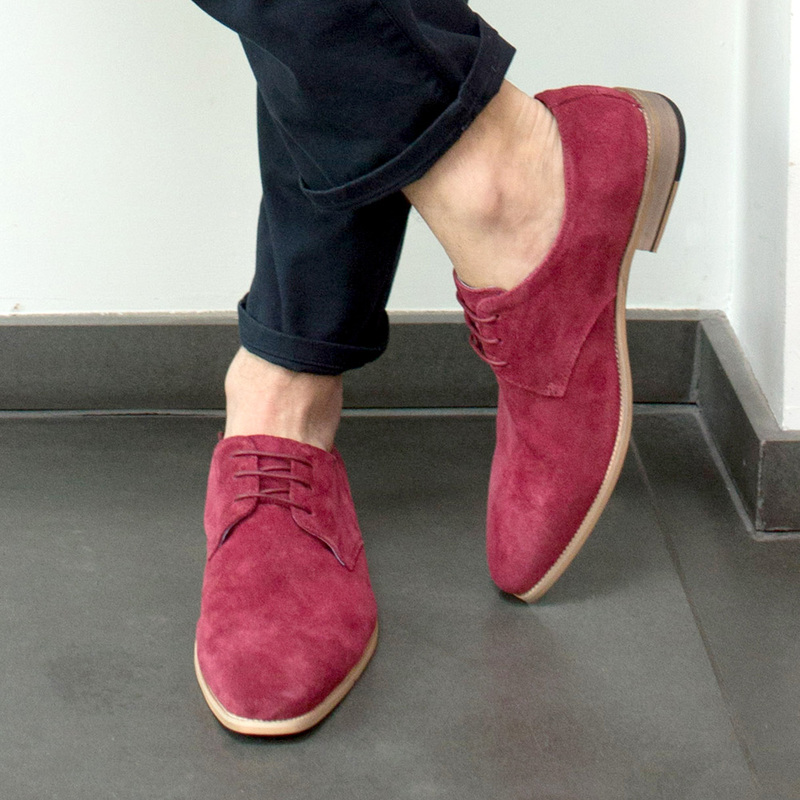 Take a little care, protect and clean you suede shoes and you will be sure they last longer than you think. If you don’t believe us, ask GQ!